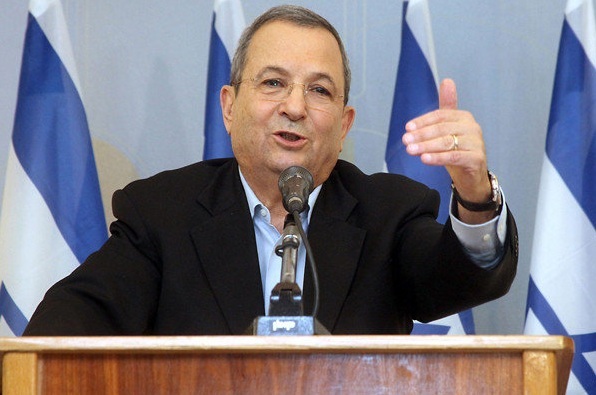 Today Israel's Defense Minister, Ehud Barak, resigned and announced his intention to quit politics altogether. In this video segment he says, "Today I stand before you to share my decision to resign from political life and not to run in the coming election for Knesset. It was a decision taken not without difficulties, but eventually whole-heartedly ....". At the 0:38 mark (this video counts down from 1:13) his left forehead and eyebrow shoot upwards very briefly in a body language display known as a "microexpression" as the translator says "whole-heartedly". This unilateral evanescent nonverbal expression is strong subconscious display of incredulity. Mr. Barak is displaying disbelief upon the utterance of his own words.